​ Want to earn part of all your living from a farm? You are at the right place. Our farming areas all have a long future ahead of them and we can't wait to welcome you to the neighborhood. 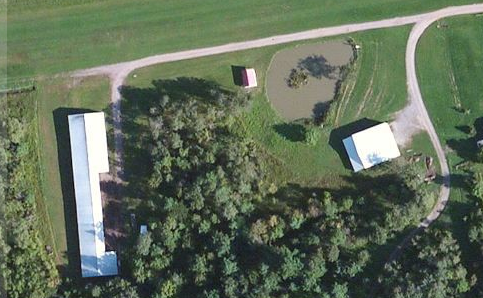 Please contact us for aerial maps, an address, or for additional pictures. If you have questions, by all means ask. We are here to make your buying experience a great one! 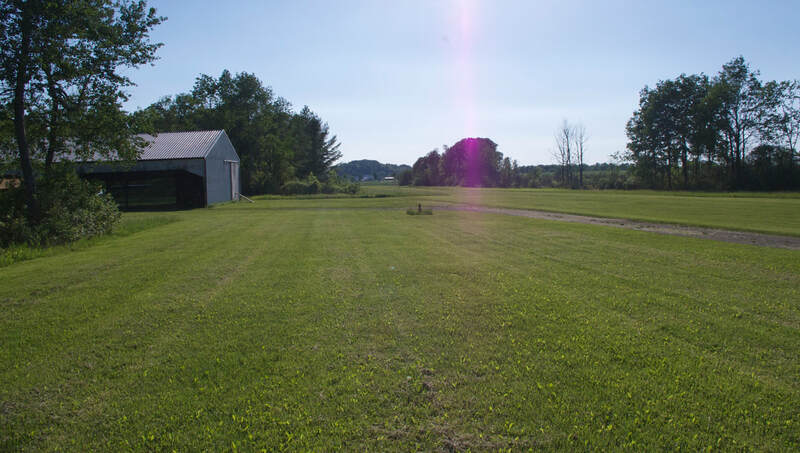 You may also find what you want under "Country Living" or, if you don't need a home, under "Acreage". #1100 - North-Central Montgomery County -Your own private registered airport! How often will you get a chance like this? This is it, and it's surprising inexpensive ($209900). There is a 2200' east/west drained grass landing strip and hanger space for 12 planes. 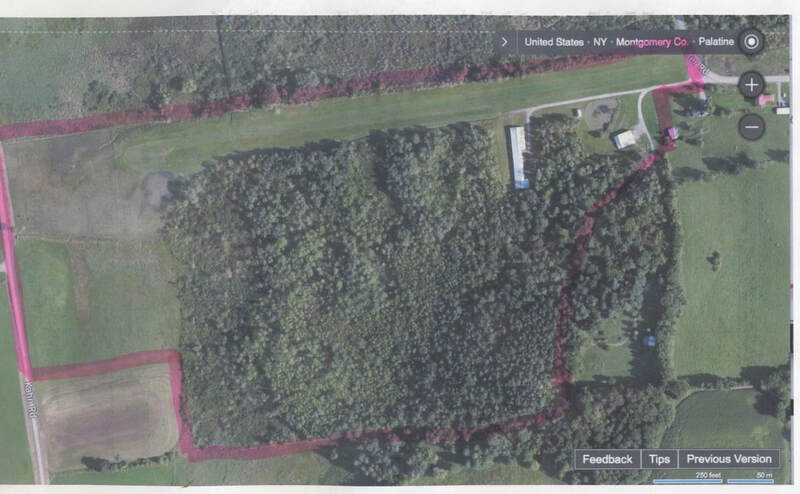 The entire property has 49.3 surveyed acres and is mostly wooded, though there is pasture and hay fields at one end. 27 acres are in a Wetlands. Most of this is a softwood forest, though there is an area of hardwoods where it is better drained. Timber can be harvested with permission. There are 2 ponds from which you can fish. There are deer and bear in the woods and waterfowl on the ponds for your hunting pleasure. There is 866' of road frontage in the rear and 169' in the front. A shared ROW is a road along the southern border which goes back to the previous owner's camp. The main T hanger is 48x234', though it is wider at each end. It holds 7 planes. It is an older building but still in decent shape. It is open on both sides. There is a newer hanger that holds three planes. It is 63x50' and has an electric bifold door so everything is fully enclosed. A 15x50' section is a separately heated shop. The shop, like the hangar, is well lit, and has a bathroom. The well and septic are small, but fully functional. There is a furnace, not installed, for the main section. This building has new wiring and a 200 amp entrance. There is also a new 15x20' office/break room. It features cherry floors and has a small attic. Included in the price are several items: 1) A commercial Jacobson reel mower, a brute, older, huge, and capable. There is also 2) a like new John Deere LK 150 mower for closer work. And 3) you get an eclectic airplane parts inventory, worth from $10-20000. Some of the parts are not terribly valuable - and some are. In exchange for allowing him to keep his own plane there, the owner is willing to manage the business end of it for you. He is selling because he does not have the time to do the maintenance.